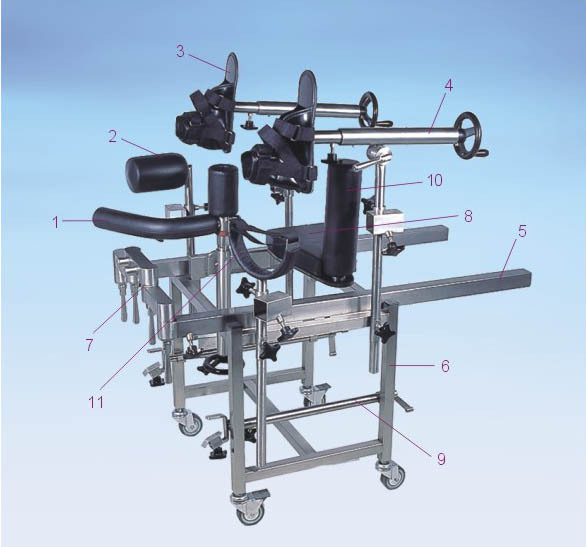 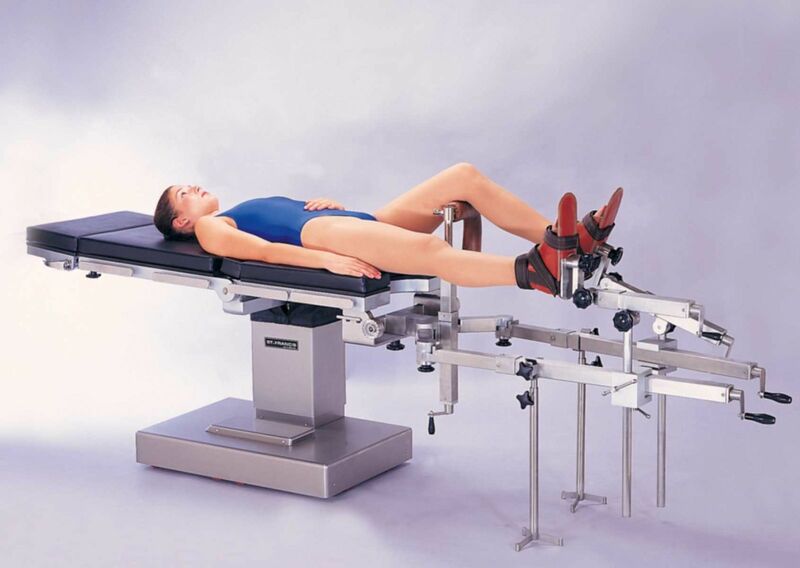 The traction device is designed to facilitate orthopedic procedures, especially good performance for X-ray intensification works. 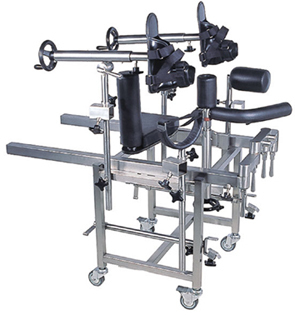 The T-shaped double joins angle adapter is swing adjustable for easily lateral intensifer position and anterior-posterior without obstruction. 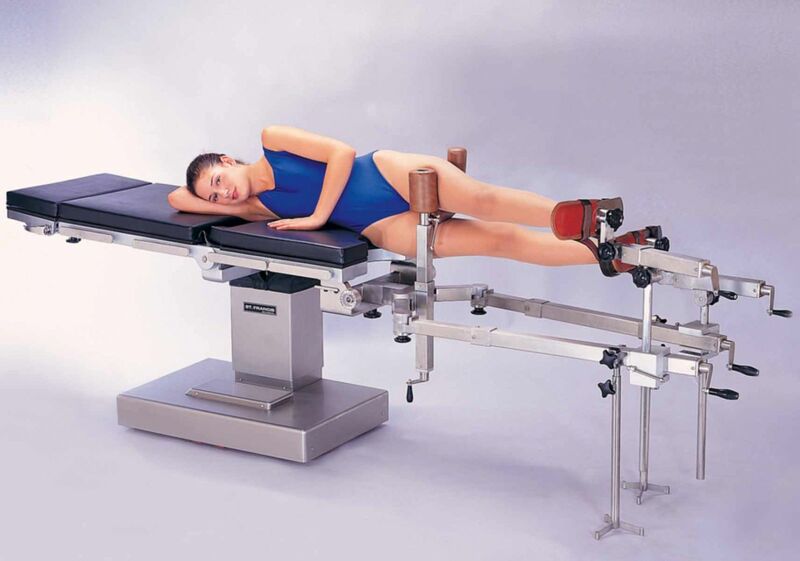 The traction device can be precisely adjusted at any traction degree. 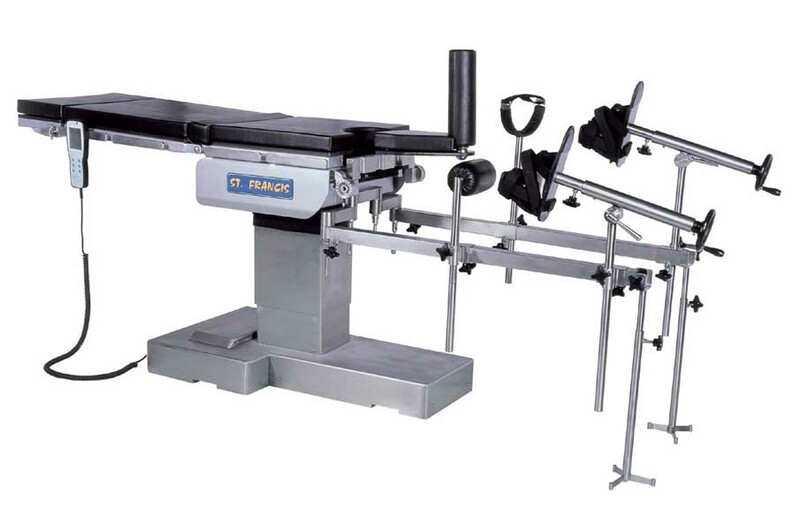 The extensible rails sliding 600mm to fit adult or children. 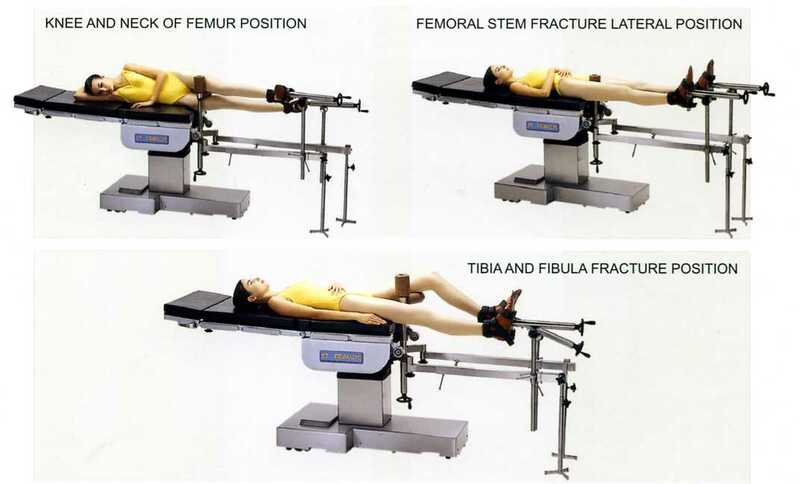 The sacral support and perineal post made of radiolucent material to enhance C-arm imaging. 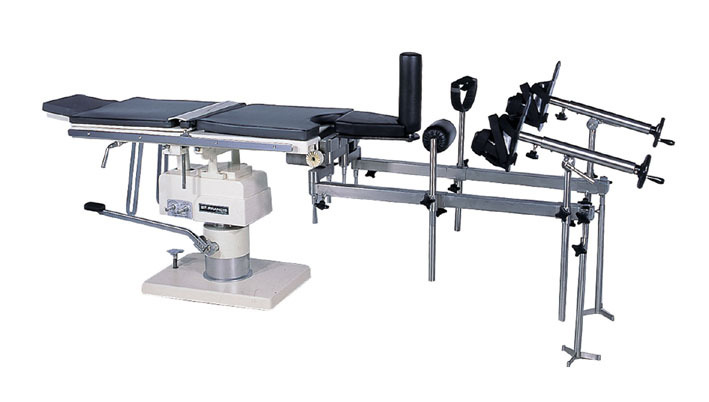 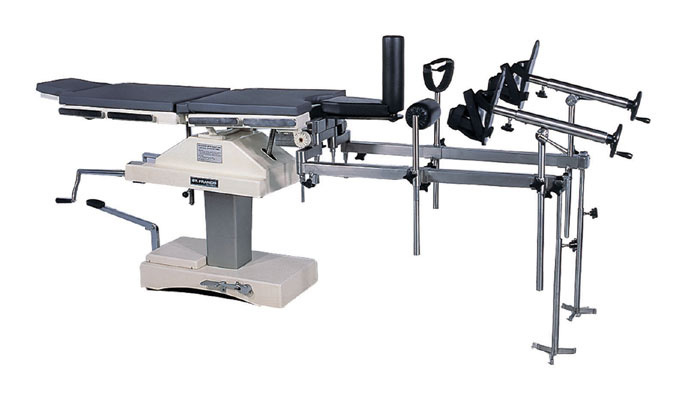 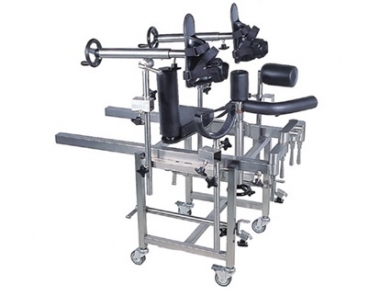 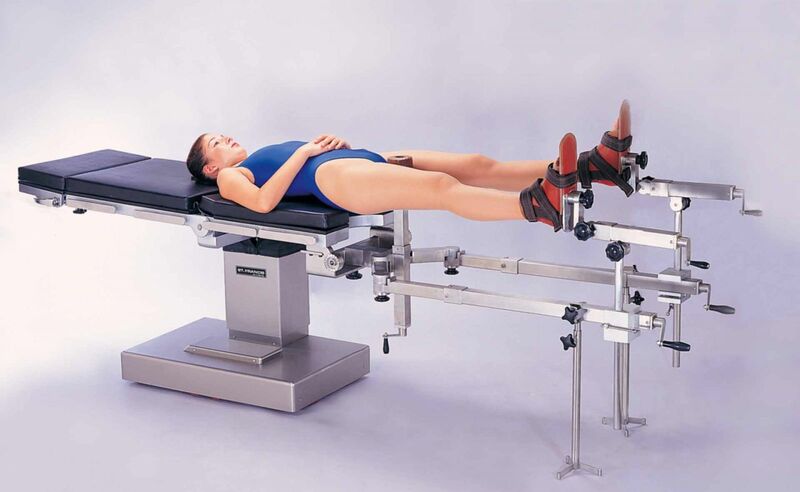 The traction device can be easily installed on the table.